Actress Holland Taylor will be honored at a very special charity event in Beverly Hills tonight. A Faire of the Heart 2011 is a dinner and awards presentation with entertainment by Frenchie Davis and pianist Oksana Kolesnikova. The MC/Host is Lisa Ann Walter, award-winning actor, director, producer, comedienne. 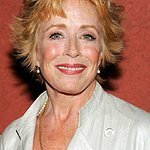 Holland Taylor will receive the first annual Aid for AIDS Celebrity Trailblazer Award for her long-standing support for social justice and HIV/AIDS. The AFA Celebrity Trailblazer Award acknowledges and celebrates individuals in theater, film and television who have significantly impacted the community through their personal contributions and professional portrayal of positive characters. An award-winning actor and major supporter of Aid For AIDS, Ms. Taylor’ s portrayals of powerful, self-assured, and deeply thoughtful leaders have encouraged self-respect, high ideals, and a desire to make a difference. Creator and writer of her one-woman show based on the life of Ann Richards, the former Governor of Texas, she will be performing the highly-regarded tribute at The Kennedy Center in Washington D.C. in December of 2011. Among her charitable contributions, she has lent her time and talents, and given substantial financial support to numerous fundraisers such as Best In Drag Show to raise money for Aid for AIDS. A Faire of the Heart is an annual benefit for The Serra Project and Aid For AIDS, long-standing HIV/AIDS service and housing organizations in Los Angeles County. Founded more than two decades ago, The Serra Project and Aid For AIDS client programs and mission remain very relevant. Their primary, long-running programs are built on the premise of housing is healthcare, which was identified as a key component of the recent White House initiative for eradication of AIDS in the U.S. Additionally, that initiative named collaborations and partnerships as absolutely necessary to success. The efficacy of both White House initiative components are well-illustrated by the A Faire of the Heart beneficiary through many years of experience. The event takes place tonight, August 24, at the Beverly Hills Hotel. Find out more about the event here.